Duffy Health Center is pleased to announce its 10th Annual Gala to be held Friday May 3rd at the Barnstable Municipal Airport. The annual gala – Duffy’s largest fundraiser of the year - is an opportunity for community members to come together and celebrate the care that Duffy clinicians provide their patients each day. The event will begin at 6PM and will feature a silent and live auction, led by John Terrio from Auction Knights. The strolling dinner will be provided by The Casual Gourmet, a raw bar provided by The Naked Oyster and the Bert Jackson Trio will perform. A signature of the Duffy Health Center Gala is a trip giveaway. Each guest who purchases a ticket is entered in a raffle for a chance to board a private Rectrix Challenger jet for a weekend getaway. Two names are pulled from the raffle, winning seats for themselves and their guests. Four additional seats are offered during the live auction. This year’s destination is Nashville, Tennessee. Known to many as Music City, Nashville has become a haven for visitors because of its live music, hip vibe and amazing restaurants. 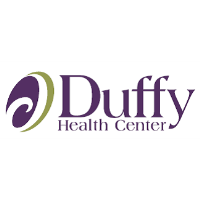 Duffy Health Center’s mission is to provide comprehensive, integrated health care and support services to persons who are experiencing homelessness or at risk of homelessness on Cape Cod, and to improve the quality of life for vulnerable populations through community collaborations, leadership and advocacy. This year’s major event sponsors include Greg and Jeannie Botsivales, BizChecks, Cape Air, Cape Cod Healthcare, The Casual Gourmet, Duffy Properties, Massachusetts League of Community Health Centers, TD Bank, Wendy’s, and Bill and Linda Zammer. Gala tickets are $195 each and can be purchased online at https://duffy.givesmart.com.